< Return to Cemeteries List Page Click here! next to her husband, Obadiah Beene. SERG CO. G 3 CONF. CAV. to that of his wife, Barbara Beene. “Aged 46 yrs., 11 mos. & 17 dys. Collins, Bonnie R. – 1898-1998 – Shares stone with Dudley B. Collins, Sr.
Shares stone with D.B. 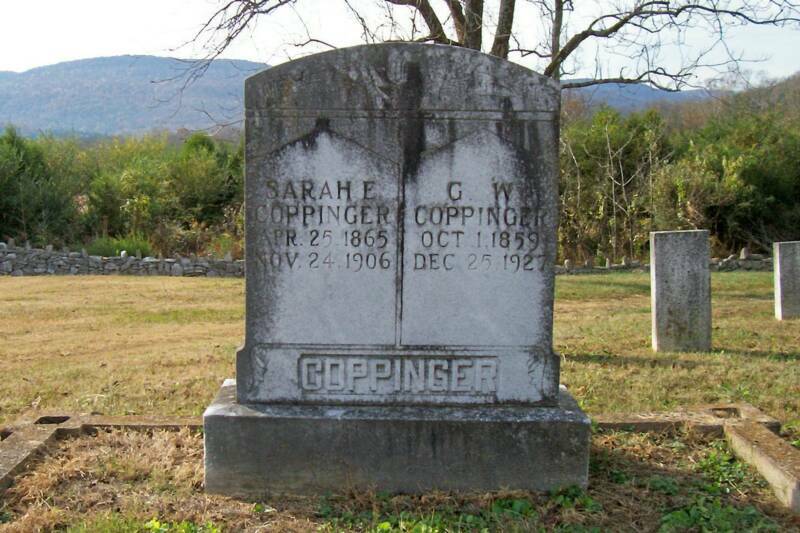 “Jack” Collins, Jr.
Shares stone with Sarah E. Coppinger. labor dispute shoot out in South Pittsburg. Shares stone with Ruby Holder. Shares stone with Elizabeth Patton. making first name hard to read. It may not be correct spelling. making second name hard to read. It may not be correct spelling. Payne, Lewis – Born: Sept. 20, 1819 – Died: March 14, 1892 – “Aged 72ys., 5 mos & 24 das. crude inscription making third name hard to read. It may not be correct spelling. R., C.M. – Small headstone only with no other inscription. at the foot of Matilda’s grave with the inscription for the infant facing it. Shares stone with Henry H. Raulston, Jr.
at the foot of her grave. The death date for Matilda is the same for the infant son. Not sure if this infant was buried with the mother. Reynolds, M. W. “Bill” – 1869-1917 – On small flat stone. Note: Brice H. Roulston has another smaller original stone several feet away. See: Raulston, Brice H. for additional information. middle initial are the same for Samuel T. Roulston and Lemuel Thomas Roulston. correct name as the stone with this inscription is original. the stone with this inscription is original. 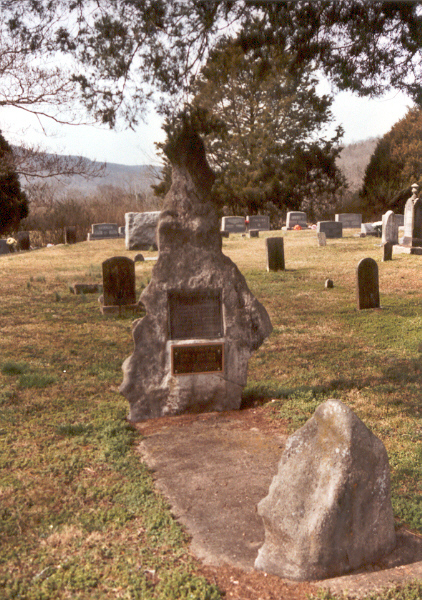 Unknown – Upright concrete marker. Looks to have had painted inscription, now illegible. Shares stone with Jasper F. Woodfin, Sr. 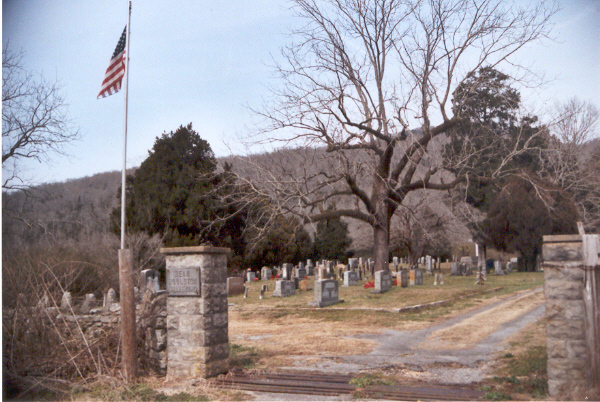 The entrance to the Bean-Roulston (Beene-Raulston) Cemetery in Sweeden's Cove near South Pittsburg, Tennessee on February 17, 2005. 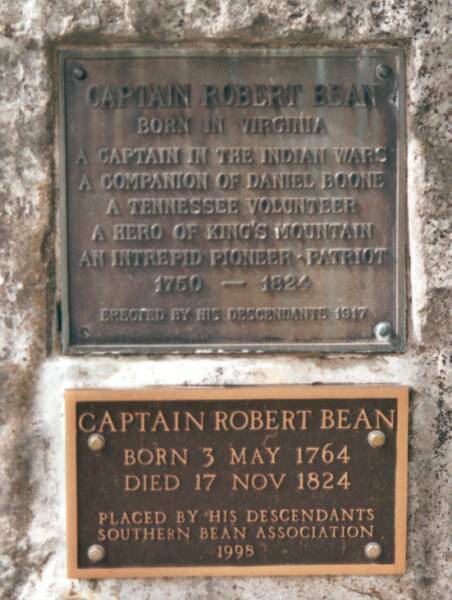 Grave of Captain Robert Bean. 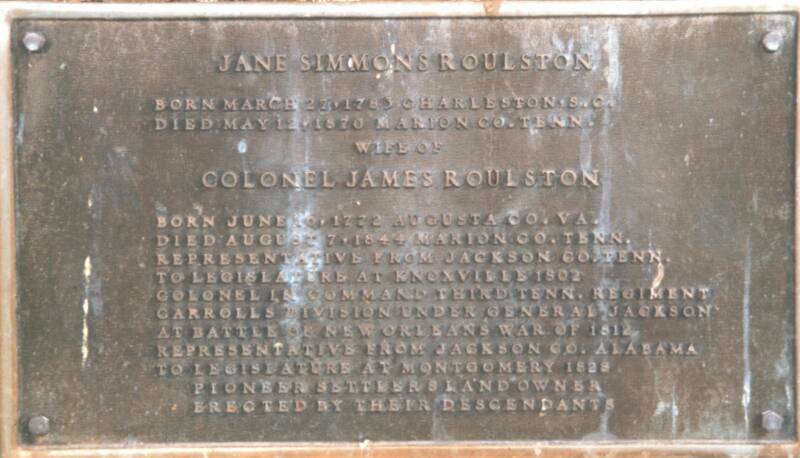 Close-up of inscription on Grave for Jane Simmons Roulston the wife of Colonel James Roulston, Colonel Roulston is buried in Doran's Cove near Russell Cave and Bridgeport, Alabama. Near the entrance to the Bean-Roulston Cemetery are the graves of G. W. "Wash" Coppinger and his wife, Sarah E. Mr. Coppinger was the sheriff of Marion County when he was killed on Christmas night 1927 in the infamous labor dispute shootout in downtown South Pittsburg. To learn more click link to see '27 Labor Dispute presentation. 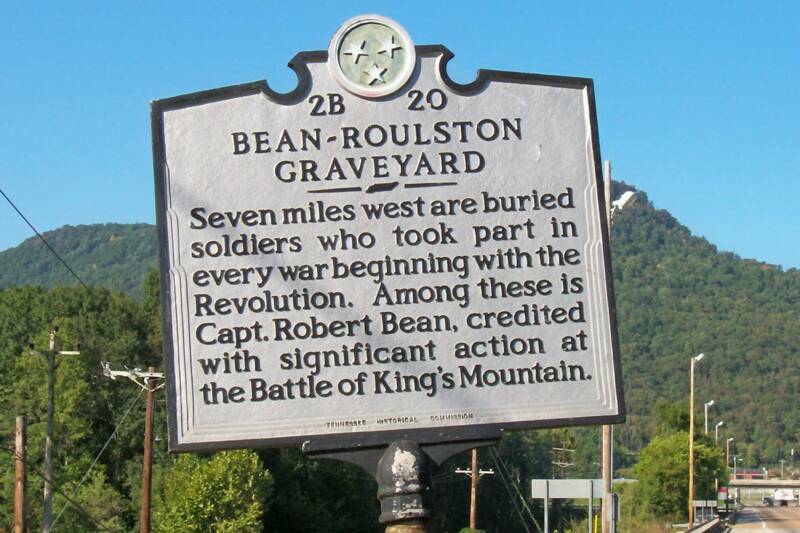 The Bean-Roulston (Beene-Raulston) Cemetery historic marker is pictured above on September 17, 2005 at the entrance to Sweeden's Cove Road on U.S. Highway 72 near South Pittsburg, Tennessee. 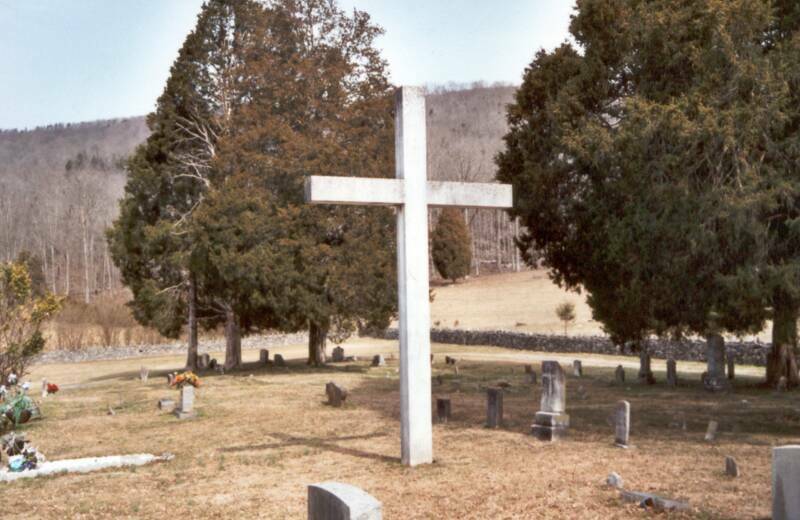 The cemetery is located on the right exactly seven miles down Sweeden's Cove Road. It is on a slight hill another one-fifth of a mile up a small road leading off the main road and is surrounded by a rock wall. 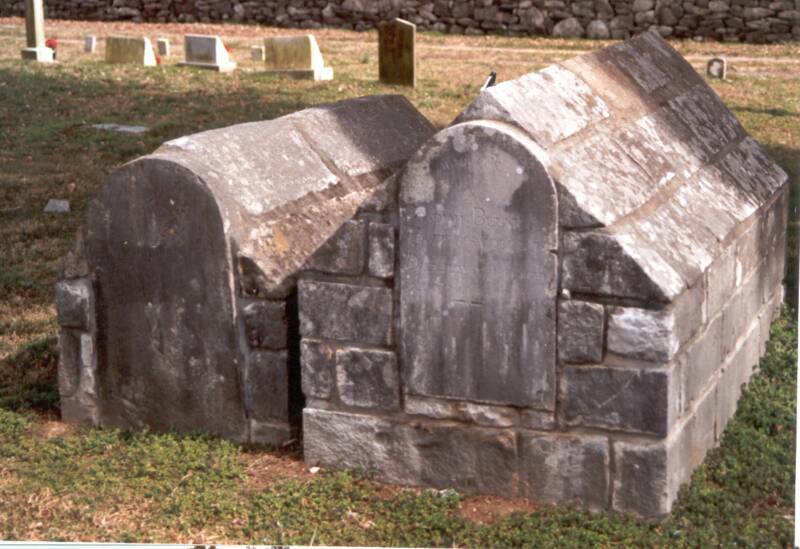 It is one of the oldest cemeteries in Marion County.